Aljazeera has never been far from controversy since it was launched in November 1996. The news network is the media outlet of choice for Al-Qaeda, has been the target of USA bombings and has sent shockwaves throughout the whole Arab world. With over fifty million viewers Aljazeera is one of the most widely watched news networks in the world. Aljazeera has been criticized by Arab Governments and many segments of the Arab media for being pro-Israeli while critics in the USA have argued that the network is unbalanced and maintains links with terrorists. Other voices in the west support the channel, they belive that the USA itself often produces highly partisan output, with FOX News usually being identified as the worst offender. Aljazeera ('the Island' in Arabic) broadcasts from modest studios in Doha, Qatar. The station is located next door to the compound that houses the studios of the state broadcaster, Qatar Television. Qatar Television (available via Asiasat 3 to viewers in Australia and New Zealand) was somewhat a prototype for Aljazeera when it interviewed two exiled Bahraini opposition leaders to the displeasure of the government of Bahrain. A serious diplomatic row developed between Qatar and Bahrain, which motivated the maverick Emir of Qatar to establish Aljazeera, an independent news channel free from the usual shackles of censorship and government control that dominates much of the Arab media. Aljazeera describes itself as a providing a refreshing alternative to millions of viewers offering a new perspective on global events. The station's website argues that Aljazeera has offered its audiences in the Arab world much needed freedom of thought, independence, and room for debate. Aljazeera also aims to provide an alternative news source to the rest of the world as well, which the station claims is often dominated by the stereotypical thinking of news "heavyweights". 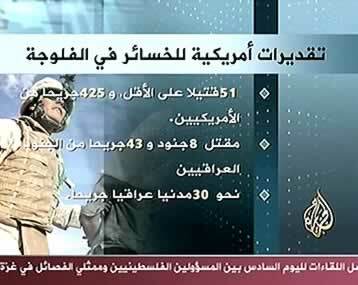 Aljazeera came to the notice of western viewers during the USA operations in Afghanistan and Iraq. Aljazeera chose to report the impact of war on the lives of ordinary people. To many this focus in their reporting was seen as un-American and unhelpful to the USA operations. The airing of hostage videos in Iraq and the broadcast of audio messages from Osama Bin-Ladin has also inflamed some Americans. Aljazeera report that they continue to cover all viewpoints with objectivity integrity and balance. It is often argued that many of the critics in the west have never watched Aljazeera and that their opinions have been formulated by the right-wing media in the USA. With access to free-to-air satellite television we are given an opportunity to form our own opinion while viewing Aljazeera. The station broadcasts free-to-air across the Middle-East and South Asia. For much of 2004 and early 2005 Aljazeera was available free-to-air to viewers in Australia and New Zealand however the station is now only occasionally presented unencrypted in this region. Al-Jazeera is featured in the MediaExplorer package on DVD Disk Six. Al-Jazeera - Balanced or just a mouthpiece for Osama?